Vivo is generally not a brand one would associate with premium flagship level phones such as the Samsung Galaxy S9 or the Google Pixel 2 or the iPhone X. In the Indian market, Vivo and its sibling Oppo have mostly been in involved with mid-range smartphones which are more often than not selfie-centric and quite overzealous when it comes to image post-processing. Which is why when it was Vivo who came out with the biggest innovation at MWC this year, I was a little taken aback. 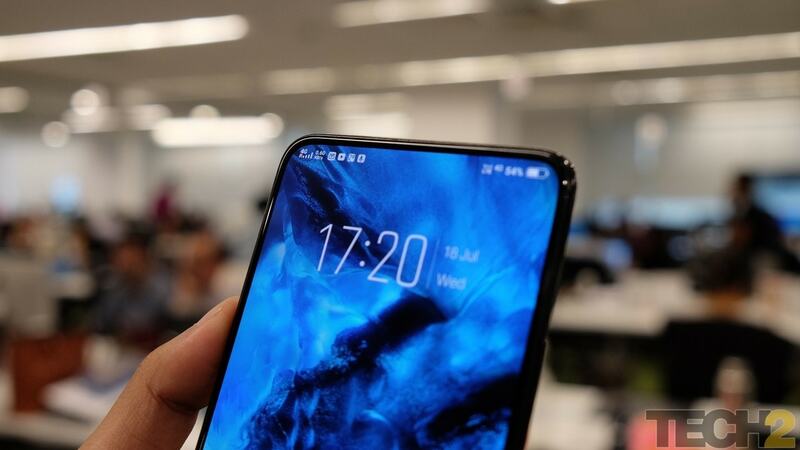 The APEX smartphone concept was unlike anything anyone had ever seen and more importantly while everyone was boarding the notch-express, Vivo decided to do something new. It has been released officially as the Vivo NEX for the Indian market and it will be selling from 21 July for Rs 44,990 on Amazon. The phone has a near bezel-less display with a very minute chin at the bottom. No top bezel. Where did the front-facing camera and earpiece go you might wonder? That is where the innovation comes in. A small mechanical slider concealed at the top of the phone pops up to reveal the front-facing camera. The device has already been announced in the Chinese market in two variants, the NEX S and NEX A. While the NEX S is the powerful Snapdragon 845 version with the in-display fingerprint sensor, the NEX A comes with the newly launched, but slightly underpowered Snapdragon 710 SoC and a fingerprint sensor at the back. In India, Vivo has seen fit to launch only its flagship NEX S at a price of Rs 44,990 making it a direct competitor to the Galaxy S9, Pixel 2, Oppo Find X and also the OnePlus 6. Does Vivo NEX make for a worthy competition? Not really.